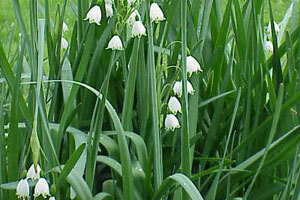 Note: Snowflakes are bulbous perennials with threadlike or strap-like leaves and nodding, dainty white flowers. The snowflakes are native to central and southern Europe but they have been introduced and have naturalized in many other areas. They have narrow, strap-like, dark green leaves. 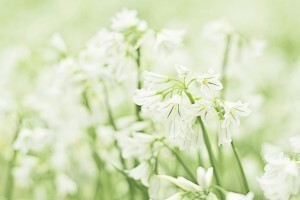 The flowers are small and bell-shaped, white with a green spot at the end of each tepal. Summer snowflake is one of the easiest and most carefree naturalizing bulbs you can grow. Fragrance: They have a slight fragrance. Light preference: Partial sun to semi shade in the southern hemisphere! Watering: Water regularly during spring growth time and during the flowering period. It tolerates drought when dormant in the summer. Soil requirements: Likes moist, well drained soil. Can tolerate clayey, even waterlogged soils. Propogation: By dividing bulbs (including offsets). The bulbs of snowflakes multiply freely and can be divided every 3-5 years. They are best planted in autumn, 5 to 10 cm deep and spaced about 10 cm apart. 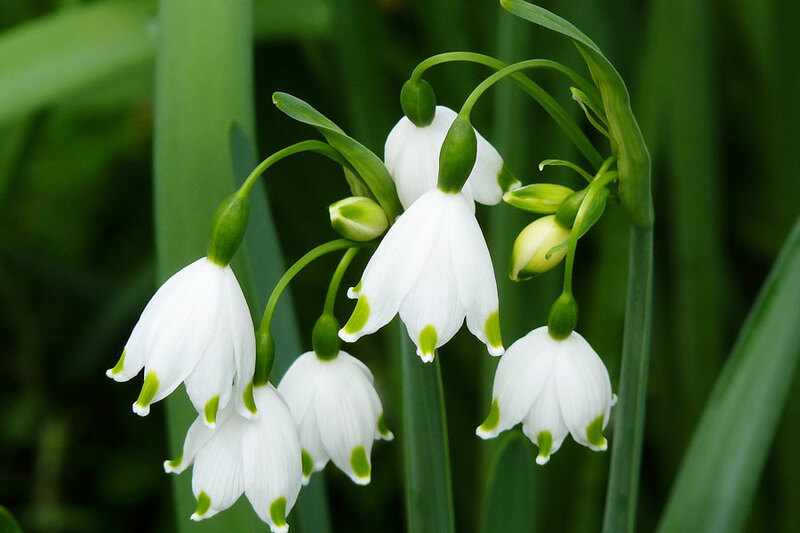 Other notes: The inflorescence of summer snowflake consists of 2-5 bell shaped, mildly fragrant flowers, each about 1 in (2.5 cm) across, nodding from the tip of a hollow scape (flower stalk) that stands just above the leaves. Each flower has six perianth segments or tepals (three sepals and three petals), all of which look about the same. Notes: Plant dry bulbs in autumn in moist but free-draining soil in partial sun to semi shade. 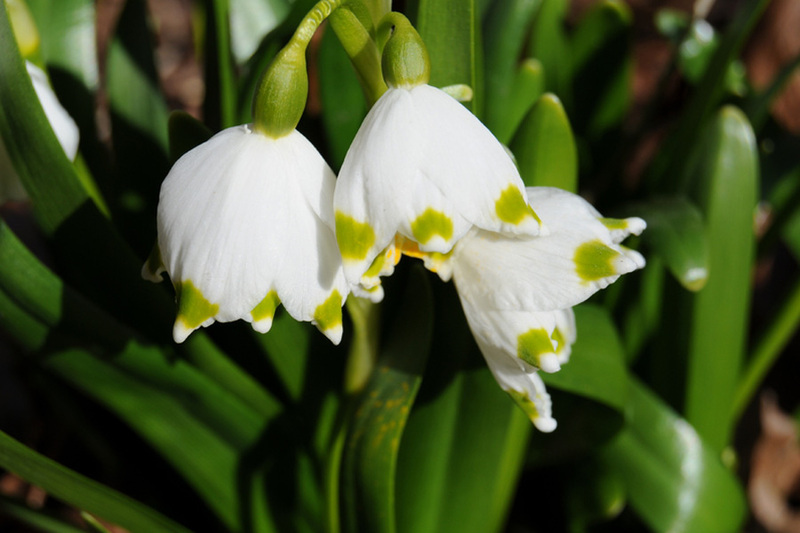 Bulbs should be planted 8 to 10 cm deep.